Cross Country Skiing - Pineland Farms, Inc. Conditions permitting, ski trail hours are daily from 8:00 am-6:00 pm everyday. 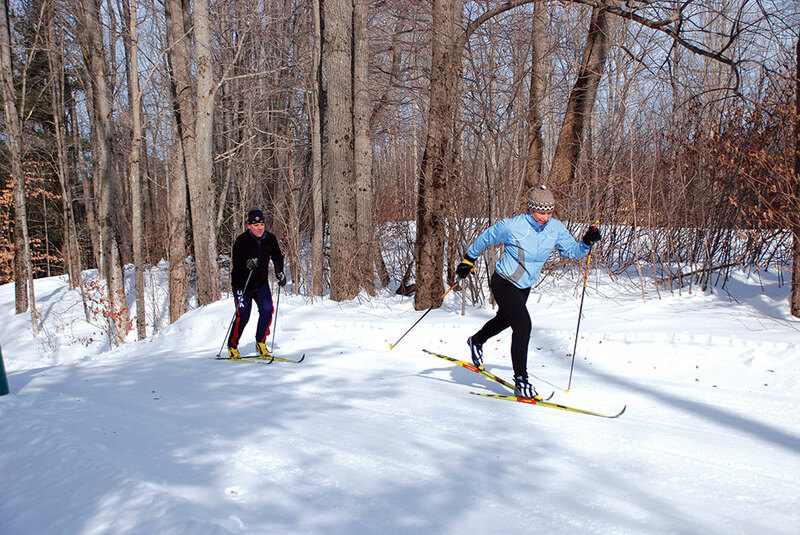 Just show your Pineland Farms season pass at a participating trail center this winter and you’ll ski for half price. 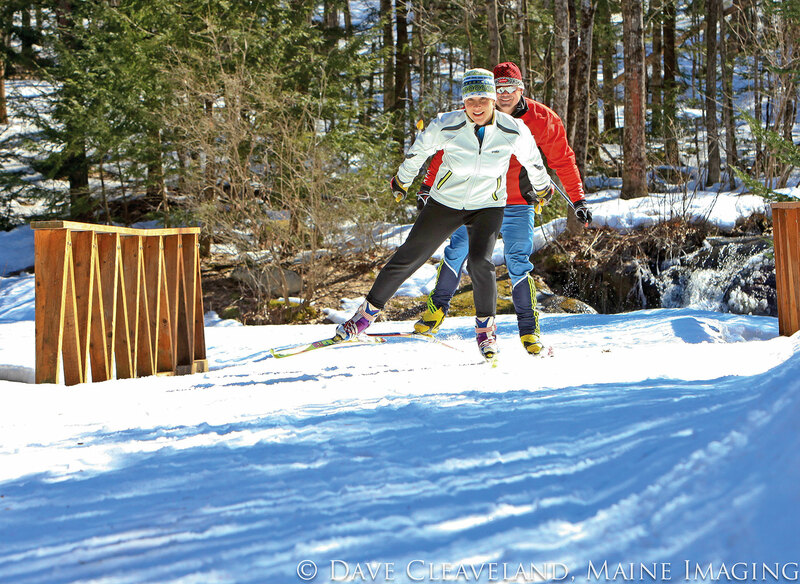 Participating nordic centers include Bethel Village Trails, Carter’s XC Ski Center, Quarry Road Trails, Rangeley Lakes Trails Center, and Titcomb Nordic. It’s a great way to try out new places to play in the snow! 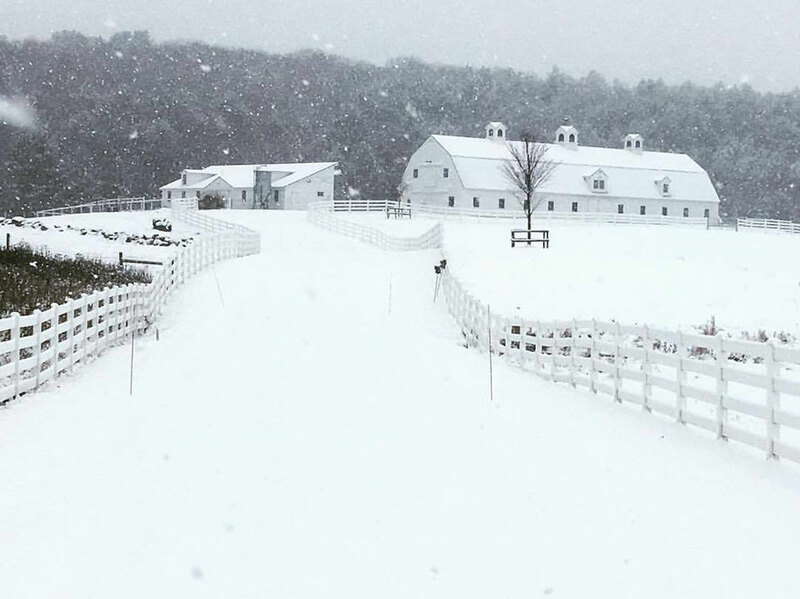 Buy your Pineland Farms season pass today to take advantage of this great deal. Each week we email coupon deals to our season pass holders from local participating businesses to give even more value to your season pass. These deals could include discounts on local restaurants, businesses and other recreational activities in the area. By appointment only, please call 688-6599. Pineland has over 5,000 acres of beautiful woodlands and fields that are open to the public for year-round outdoor activities. Enjoy 30 kilometers of professionally designed, well-kept trails for biking, walking, trail running, Nordic skiing and snowshoeing. We also offer orienteering, dry-land Nordic ski training, sledding, ice skating, tennis and disc golf. Our outdoor facilities are also used in our Education Programs, such as nature observance, natural history and ecology studies. Our VAST program promotes lifelong health and well-being for veterans with disabilities through physical activities and sports. The Outdoor Center is located on the first floor of the Pineland Welcome Center and offers equipment for rent. 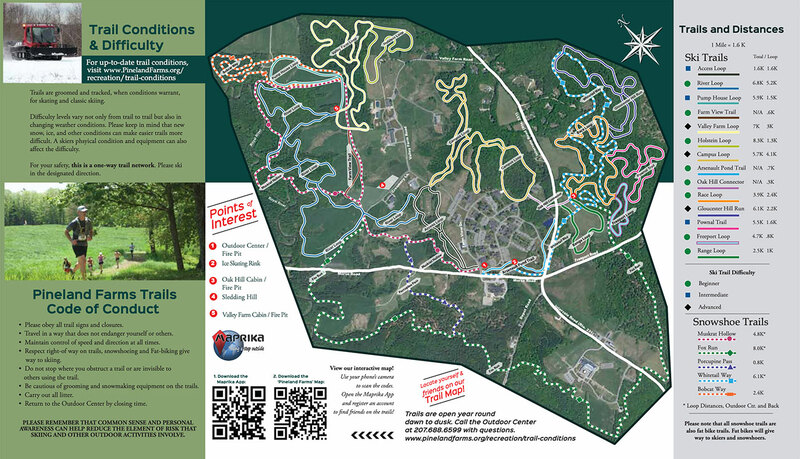 Check our Trail Conditions for updates. Spend the day or stay the night in one our beautiful Guest Houses.